Following tonight’s announcement that UVA is ranked No. 25 in the first College Football Playoff rankings of the 2018 season, the Cavalier athletics department is offering a special ticket promotion for Friday’s home game against Pitt. Based on UVA’s No. 25 ranking, fans can purchase two tickets for the Pitt game for $25. The special pricing offer ends Thursday, Nov. 1 at 11:59 p.m. ET. Tickets are available now online at this link (https://wahoowa.net/cfpoffer). Fans can use the promo code CFP. Starting 9 a.m. Wednesday, tickets can also be purchased by calling the Virginia Athletics Ticket Office at 1-800-542-UVA1 (8821) or in-person at the Virginia Athletics Ticket Office in Bryant Hall at Scott Stadium. 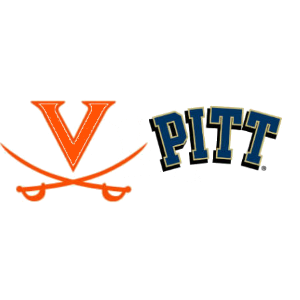 The Pitt game is scheduled to kickoff off at 7:30 p.m. ET. Parking is available at all usual game day locations starting at 5:30 p.m., including all lots requiring permits. UVA’s ranking is the first since the College Football Playoff rankings originated in 2014. During the Bowl Championship Series era, which predated the College Football Playoff, Virginia was last ranked in that poll during the 2007 season.